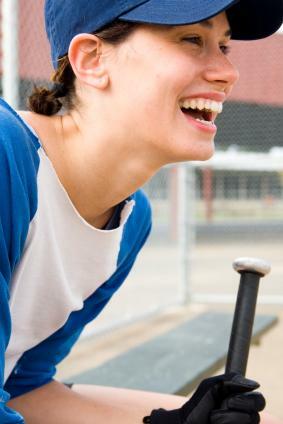 Softball chants offer a great way to add energy and excitement to this fast-paced game. Unlike softball cheers, which are usually longer and may involve movements and stunts, chants tend to be short and are typically repeated several times until the action changes. The best chants are the ones that stick in the fans' heads long after the game is done, so learn a few more and take them to the game with you. Pitchers are often stars of the game, so you'll want to have some chants ready for them. Of course, you'll want to have different cheers for your own team as well as the opposing team. While some good-natured mockery is bound to be involved when you're trying to psych out the other team's players, try not to step over the boundaries of good sportsmanship. Our pitcher's gonna grind your bat up! Our pitcher's about to strike you out! Lightning's gonna strike twice in the same place. 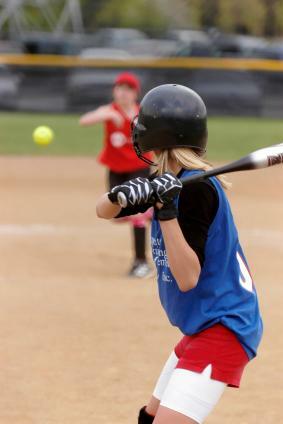 Your next batter up won't make first base! After we swing and hit your pitches. Walk our batter to the first base side! Batters get a lot of attention. After all, they're the ones who make the hits. Here are a few chants especially for them. So send your outfielders waaay back! Knock it out the park like it just doesn't matter! I say swing, you say batter! Swing - batter! Swing - batter! (Player's number) is her number, (player's name) is her name. Once she hits that ball, it'll never be the same! When our pitcher's pitch flies right past you? Foul batter, batter! Whatcha got to say? You're supposed to hit the ball the other way! The rest of the players usually don't get as much attention from the fans, but you should have some chants ready for them too. Centerfield, centerfield, catch that ball! Hang on to it tight, and don't let it fall! See that ball sailing through the sky? Get over there and catch that fly! See that ball flying through the sky? You can't catch it, so don't even try! Miss that ball 'cause we want a double! Now you have plenty of chants to liven up the next softball game. So don't just sit there in the stands like a complaisant bystander; get involved and chant your team on to victory!